Google is one of the largest companies in the world, various products belonging to Google we often use on the Internet. Like Google Search Engine, a place to find various information, references, tutorials, news, and various other content. One of Google's products is the most widely used, helps and makes it easier for users to get various daily needs. Maybe some of you only know that Google is only a Search Engine? It turns out that Google products are not even realized if we use Google Products. The following are some of Google's products along with their benefits, sorted by the most widely used. The Google search engine is most widely used by Internet users around the world, this Google product is very useful for many people. Because it can be used to find complete information, almost all information is on Google. This is very useful, if you first want to find a solution or information, you have to look for books, now it's all easy and fast thanks to Google Search. This Google product can be used for free on a Laptop PC or Smartphone / Tablet. These various video sites are officially purchased by Google and belong to Google. This site contains a lot of video content, ranging from tutorials, information, news, guides, entertainment, and so on. Many people access Youtube every day. Youtube can also be used as a fun place to learn, because there is a lot of information on education, science, about the world, tutorials and guides. Attract many people because it's easier to watch videos than to read. Maybe you already know if Google Translate is one of Google's products, because from its name there is the name Google. Google Translate is very useful for translating various languages ​​in the world. With the existence of Google Translate makes it easy to translate languages ​​without having to use dictionaries and translate per word. Google Translate can translate many sentences at once. Google continues to develop the Translator so that the results are easy to understand besides that it can be used by many countries. Android OS is widely used on Smartphone / Tablet devices, this product is widely used by people in the world. Even some smartphones that have their own OS such as Blackberry or Nokia are now turning to the Android OS. All Blackberry smartphones and Nokia have an Android Operating System. The Android feature is very complete besides it's easy to use like the PlayStore, Google Maps, Assissten Google which can be used on an Android Smartphone / Tablet. Many people are turning to Gmail as a site for creating e-mail, because besides being easy to use Gmail has many features. In addition, Google provides free storage of 1GB, besides that Gmail provides free features to its users. The security of Spam emails is also quite good because it can distinguish important emails from spam. Email on Gmail can be used to register Social Media, Send / Receive Letters or Files, and most importantly, Gmail is used to use various other Google products. Some people don't know the features of Google Maps, this Google product is very useful. Google Maps is used to show places, street names, and show directions from where you arrived to your destination. Very useful for travelers or people who do not know the way, with Google Maps can help users to get to the desired place. Without having to ask people around, just follow the instructions. Blogger is a Google product where you can create a Blog / Website for free and easily. Blogger is used by many people to make money through Blogs. Blogger provides full features from subdomains, unlimited free hosting / storage, templates, widgets, besides that, searching for Blogger tools is very easy. Because so many people share various Blog guides in detail and in full. Is a browser application owned by Google, one browser that is light and fast. Easy and convenient to use on PC Laptop or Smartphone. Using Chrome makes it easy for users to access Google Search without having to open www.google.com besides that Chrome has a complete additional Extension. Google+ is a kind of service like Google's Social Media, with Google+ users can upload status, videos, photos, share Blog Content, Share Youtube Channel. If you have Gmail, you automatically have a Google+ account. This application is used to store data or files online, can be used for backups. This Cloud Service from Google provides Free storage capacity of 15GB, for larger capacity you can Upgrade to the Premium version. Useful for storing various files, if your Smartphone or PC is full of Laptops you can save on Google Drive. The file will be safe and can be accessed at any time. Used on Android, Google Now Launcher is a launcher that provides various complete themes for Andorid. This Google feature is very popular with Android users because it can change the menu display on a Smartphone / Tablet. Google books can be said to be an online library. Google Books is equipped with all languages. The collection of books is a lot of references for those of you who are looking for an Online Library. Books on Google Books can be downloaded for free so they can be read offline. The use of Google Docs is as a word processing service, documents, sheets, presentations, forms, surveys, and free site-based data storage power from Google. Widely used to make forms or online surveys that can be shared with all Internet users. This google service is useful to see and know the developments regarding what is the trend. Information about the world that is being searched for, the latest updates, can also be used to find out the keywords that most people use. Product created to facilitate access to various Google products such as suggestions in the Google search engine, send-to which will send a blog or site to your friends via gmail, blog, or SMS. Google Talk is one of the messenger applications from Google that you can use to communicate with your friends. Google Talk or GTalk is also integrated into Gmail and iGoogle both with features, voices, or video calls via an internet connection. Presenting the latest news information from Google and can also be filtered with the desired topic. Get interesting information about the World on Google News, various categories there. Become a reference in the morning because it provides a lot of the latest news. Used to search for photos, images, icons, gif, this application is widely used by designers to search various images as a frame of mind. In addition, it can be used to search for images that will be used as wallpapers, content on blogs, or Youtube content. Millions of images are available on Google Image, searched by Keyword. 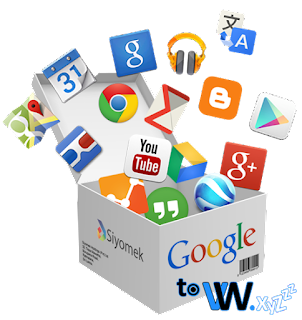 Google Desktop is a desktop application from Google that makes it easy for you to access all Google services from your desktop. Google desktop is designed to make it easy to search on your PC Laptop Computer as easy as doing a search on Google Search. Actually there are many other Google products such as Google Analyzer, Google Adsense, Google Alerts, Google Calendar. But some of these products are not used by people in general. Like Google Adsense, to use this feature the user must have a Blog or Website. 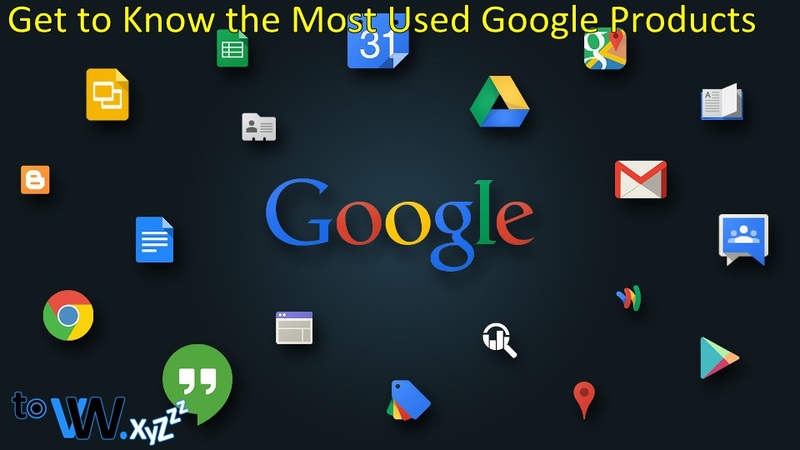 Those are the most widely used Google products, hopefully they will be useful. Thank you for visiting the ToveweXYZ Website. Pencarian Kata Kunci: Produk Google, Tentang Produk Google, Memahami Produk Google, Penjelasan Produk Google, Informasi Produk Google, Mengenal Berbagai Produk Google, Manfaat Produk Google, Berapa Banyak Produk Google, Produk Google, Berbagai Produk Google, Paling Banyak Digunakan Google Produk, Produk Google Produk Google Paling Berguna, Produk Google Terbaik, Produk Google Paling Populer Produk Google, Informasi Tentang Produk Google Paling Banyak Digunakan, Produk Google Harus Digunakan, Produk Google Yang Harus Anda Gunakan, Produk Google Paling Berguna, Produk Google Mengubah Dunia, Jenis Produk Google, Jenis Produk Google, Berbagai Jenis Produk Google.